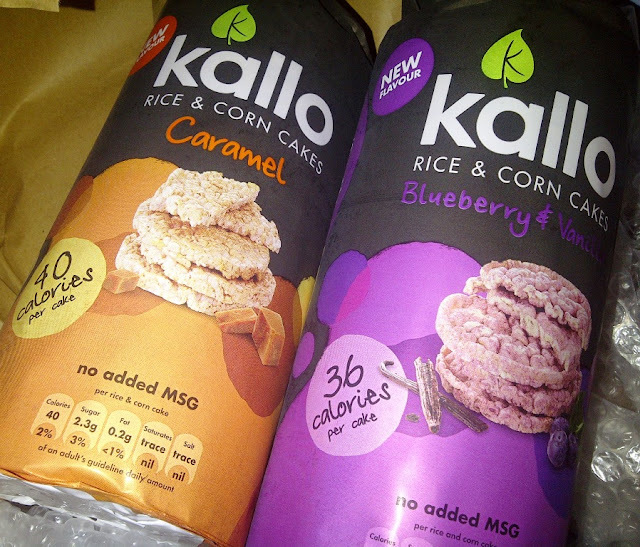 I have been eating Kallo Rice Cakes for many years now, mainly as an alternative to bread/sandwiches. 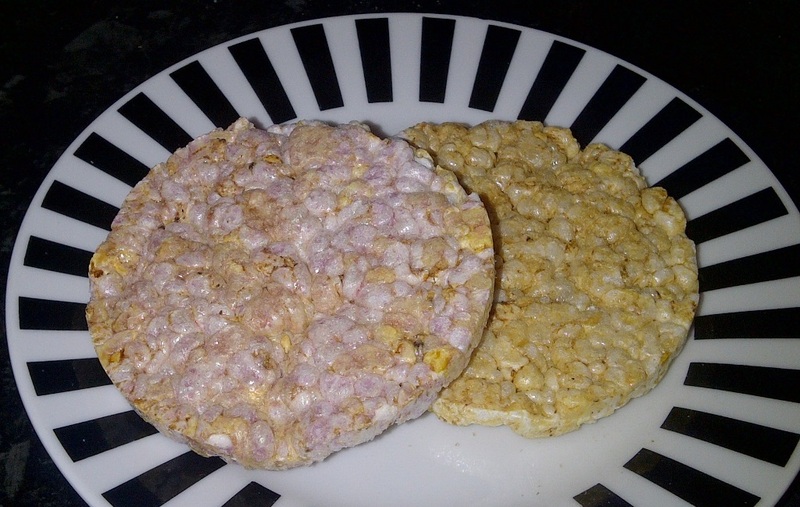 I love to fill them with ham and salad or houmous or cucumber and cream cheese and have them at lunchtime. Recently Kallo sent me two packs of their new Sweet Jumbo Rice and Corn Cakes to try. These are just 36 calories a cake and are a pretty shade of lavender. These have a delicate taste of fruity blueberry and are not overly sweet. The caramel cakes have 40 calories in each one, these are much sweeter. Taste wise I liken them to sugar puffs for grown ups. I like to eat these whenever a sweet craving comes my way, which is usually at 11am or at 4pm!. Just one (or 2!) satisfies the need for a sweet treat, happily though the calories and fat are so low that you can afford to eat 2...Although I liked both flavours I would most probably purchase the caramel flavour. Jumbo Rice and Corn Cakes are made with no artificial colours, preservatives or gluten. Suitable for vegetarians.